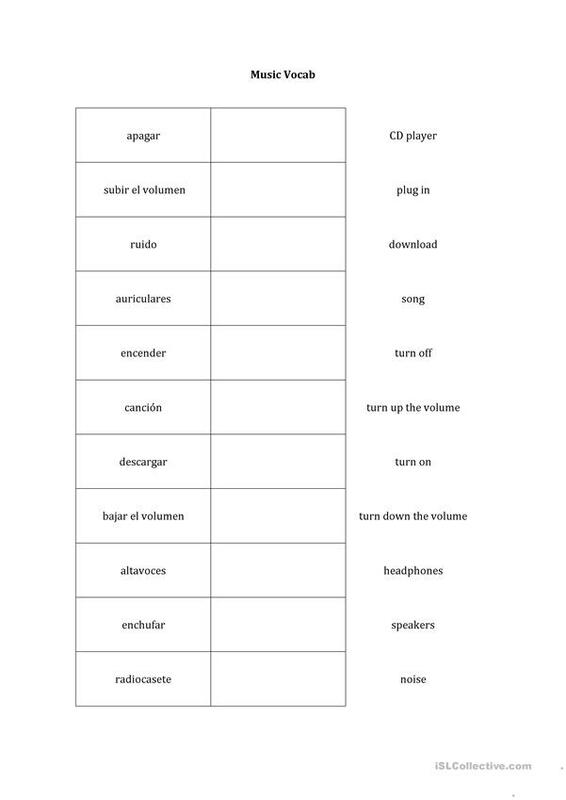 A simple vocab sheet with the English words and the Spanish words for the students to match up. I used this to supplement a rather lacking music unit. I used this with teenagers but it would also work with adults. The present downloadable printable is intended for high school students and adults at Elementary (A1) and Pre-intermediate (A2) level. It is about the vocabulary topic of Music. The exercises come with answers.